Waxed Poetic Revival is a special event that you can enjoy on the quietest evening of the week! Four young men bring an Islamic/Christian perspective to December. 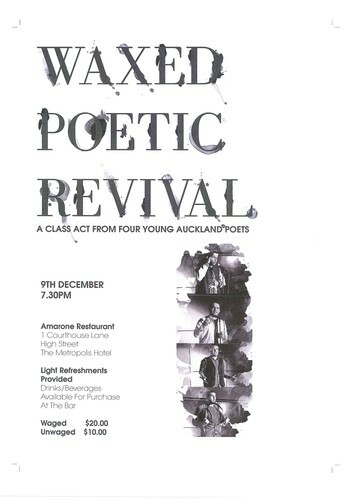 You will be amazed at the skills and insights of these young Auckland men all who have achieved significantly over the year in the art of spoken word.